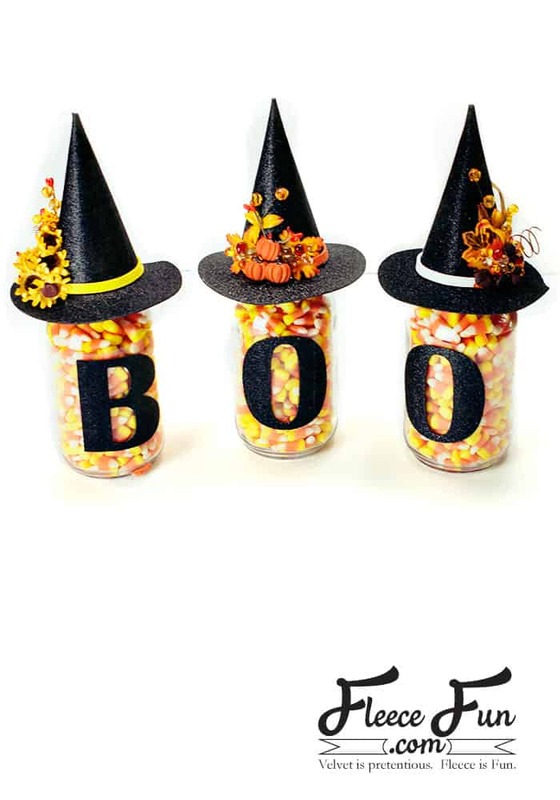 These easy to make Halloween Mason Jars come together quickly and makes for a great gift and cute decor! The only trouble is with this tasty display – my kids have been asking to dig into the candy corn! You can dress this up a little more fall or a little more spooky depending on your style – either way it’s perfect for this time of year! 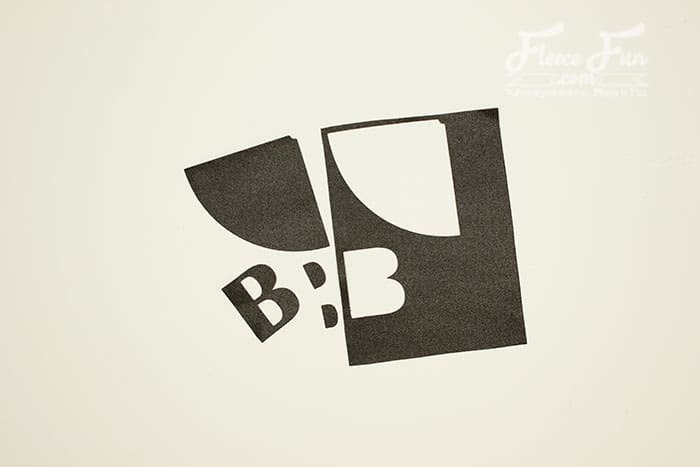 You will need a total of 3 hat tops, 3 brims ant the letters that spell BOO. 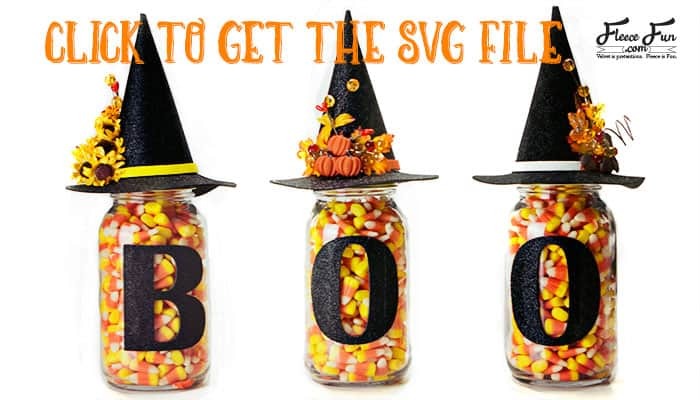 Download the Halloween Mason Jars SVG and load it into design space. 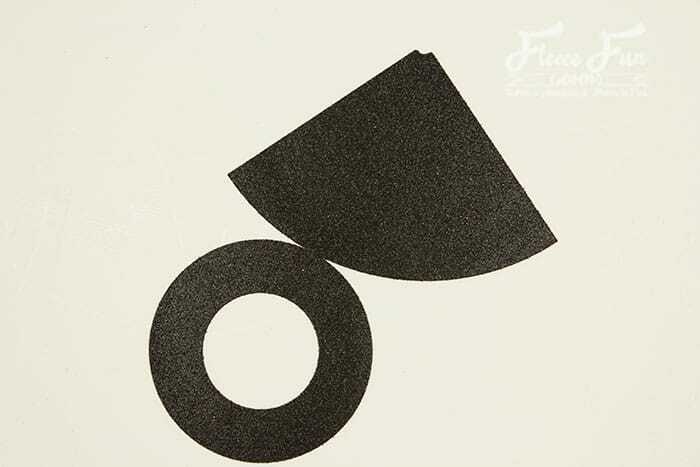 It will load to scale (DO NOT mess with the sizing or your hats own’t fit!). 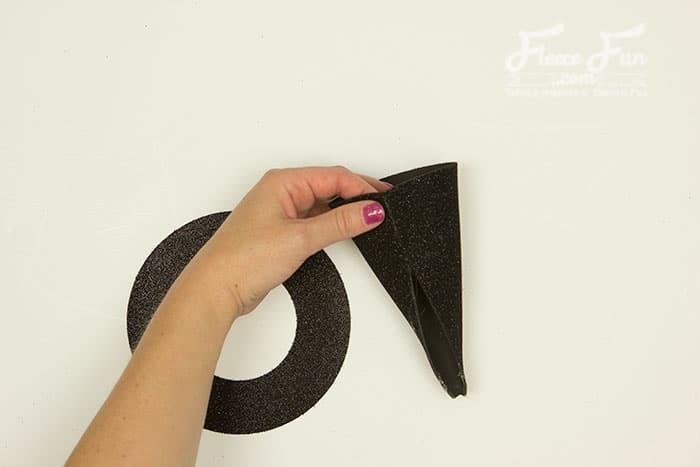 Place foam on the strong grip mat and cut out the items. 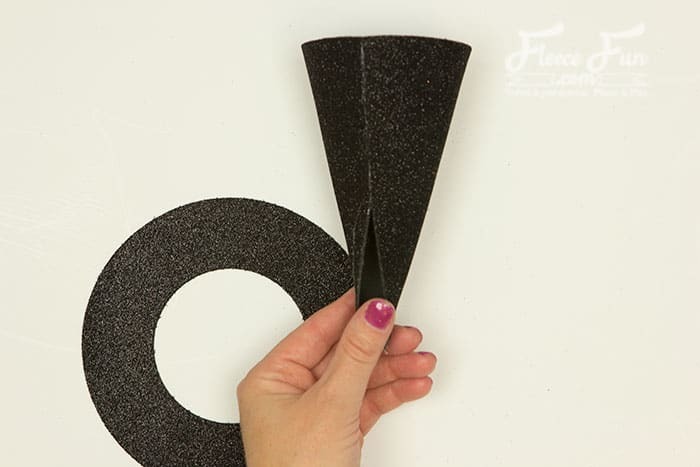 Since we’re using craft foam there is no overlap designed into the cone. 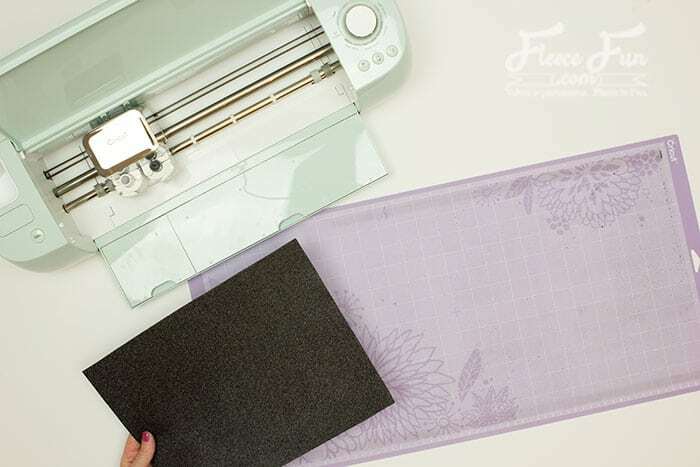 Simply take your time and glue the seam together. Starting at the bottom. 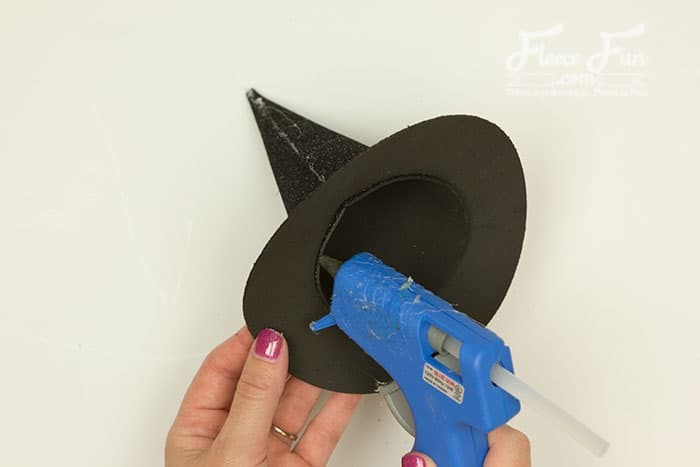 Add hot glue an inch at a time. 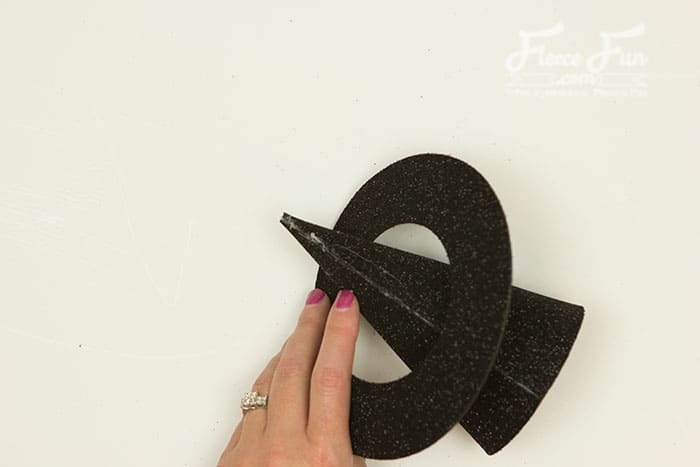 Until the the entire seam is finished. 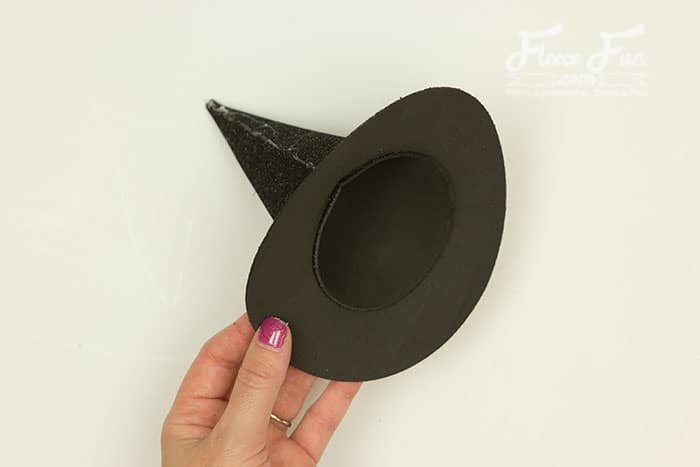 Once the cone is made a slide it up into the brim to make sure it fits. 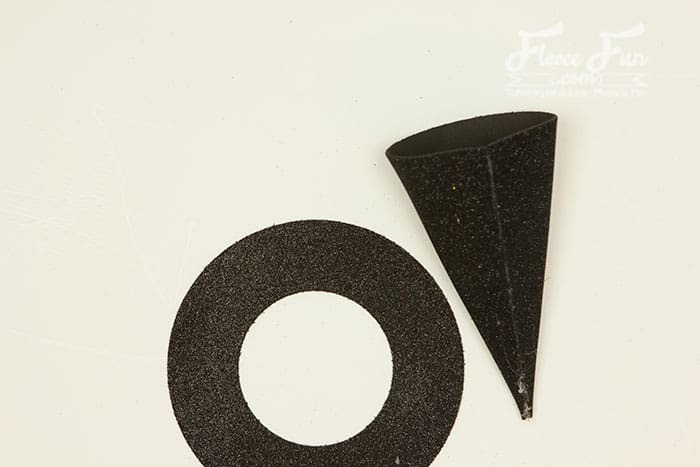 Then Glue on the to the brim from the underside of the cone. 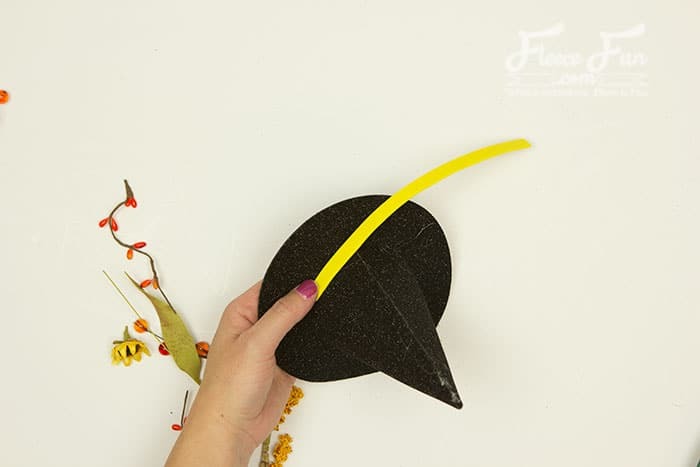 Now add ribbon, flowers, leaves, whatever you like to the hats! 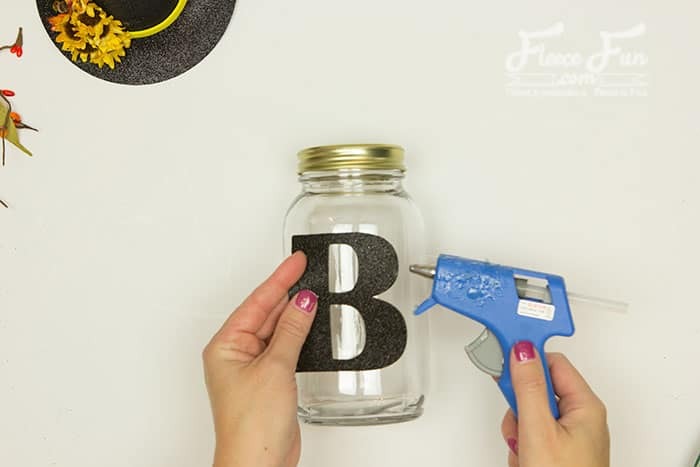 Then center the letter on each jar and hot glue it on. 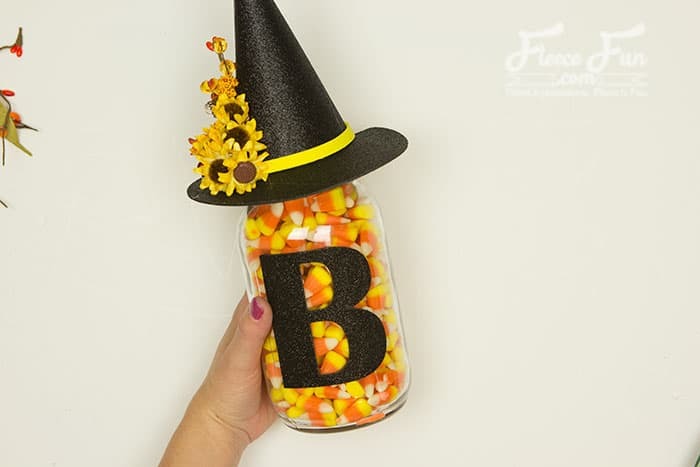 Fill the Halloween Mason Jars with candy. Place the hats on top of the jars to complete the look! Repeat with the other two jars. 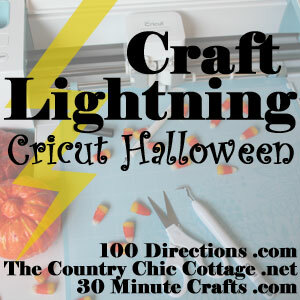 Enter for a Chance to Win a Cricut Maker!